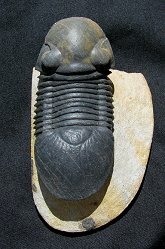 Here is an extremely displayable trilobite. This is a beautiful Paralejurus hamlagdadicus from the Devonian of Morocco. This remarkable specimen has been meticulously prepared in the EXTINCTIONS Prep Lab. 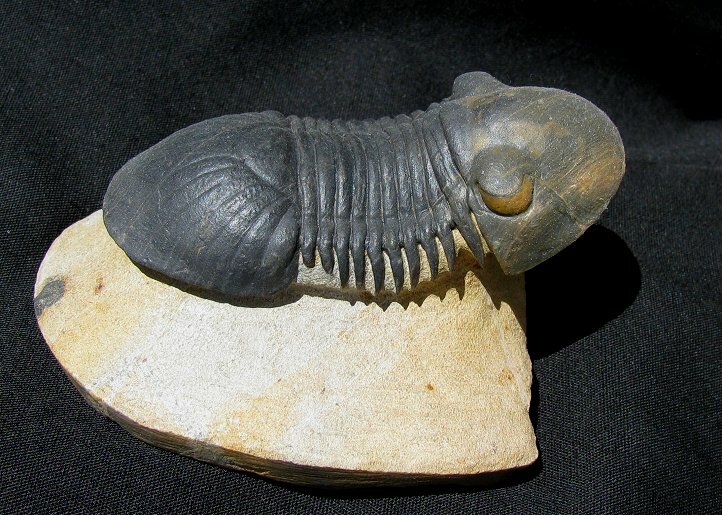 This trilobite does not have the short genal spines like Paralejurus rehamnanus. This unusual Scutellid trilobite is extremely inflated and wonderfully articulated. Both free cheeks are intact, and the orange eyes are quite striking. The long, prone bug exhibits very fine detail - the entire head has been prepared in a free-standing manner! 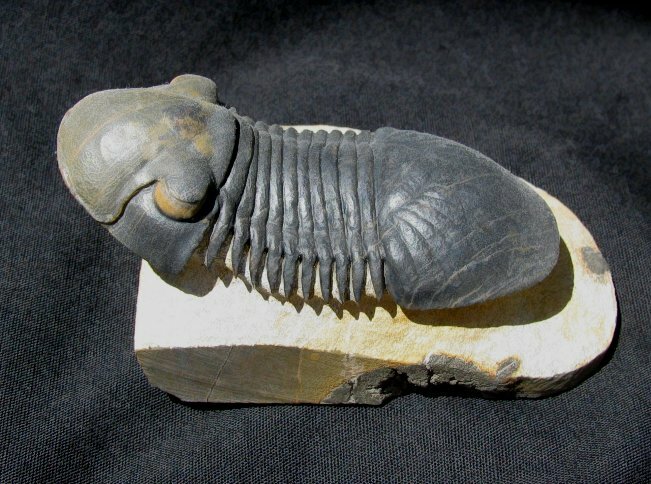 The large trilobite is well displayed on the natural block of sculpted limestone. This is a beautiful, orange-eyed specimen of Paralejurus hamlagdadicus.